We have studied the nonstationary transmission of two ultrashort laser pulses incident on a thin film. The radiation frequency of one of these pulses is in resonance with the two-photon transition from the ground state of the crystal to the biexciton state, while the other pulse coherently mixes the exciton and biexciton states, leading to strong renormalization of the energy spectrum of the crystal. We have obtained a system of nonlinear equations describing the time evolution of the exciton and biexciton amplitudes and the fields of three pulses transmitted through the film. 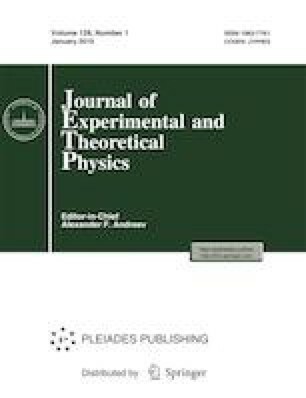 We have analyzed the effect of amplitudes and widths of incident pulsed and of the time delay between them on the peculiarities of film transmission of these pulses. We have predicted the effect of a substantial time delay in the generation of the pulse transmitted through the film relative to the incident pulse, which is in resonance with the exciton–biexciton transition frequency. The possibility of generation of a precursor, viz., a pulse transmitted through the film sooner than the peak of the incident pulse reaches the film, as well as possibility of generation of a reflected pulse in the absence of the incident pulse, has been proven.